Every parent wants to ensure the highest comfort and safety when it comes to choosing a car seat. Therefore, it goes without saying that parents throughout the US will be searching the best options to find out what the best baby car seat brand on the market is for their loved ones. The truth is that sometimes, the best car seats for children are made by brands that you haven’t heard of before. Because of that and many other reasons, we have decided to compile a list of the safest newborn, infant, toddler and children car seats on the market. If you want to make sure that you are getting the safest convertible car seat out there, it is very important to consider some of the key features such as the functionality, adaptability, safety features, number of harnesses and level of crash-impact protection which is the main criteria we will focus on today. We are fully confident that you will gain enough knowledge to be able to purchase car seats that best suit your family’s needs and budget. 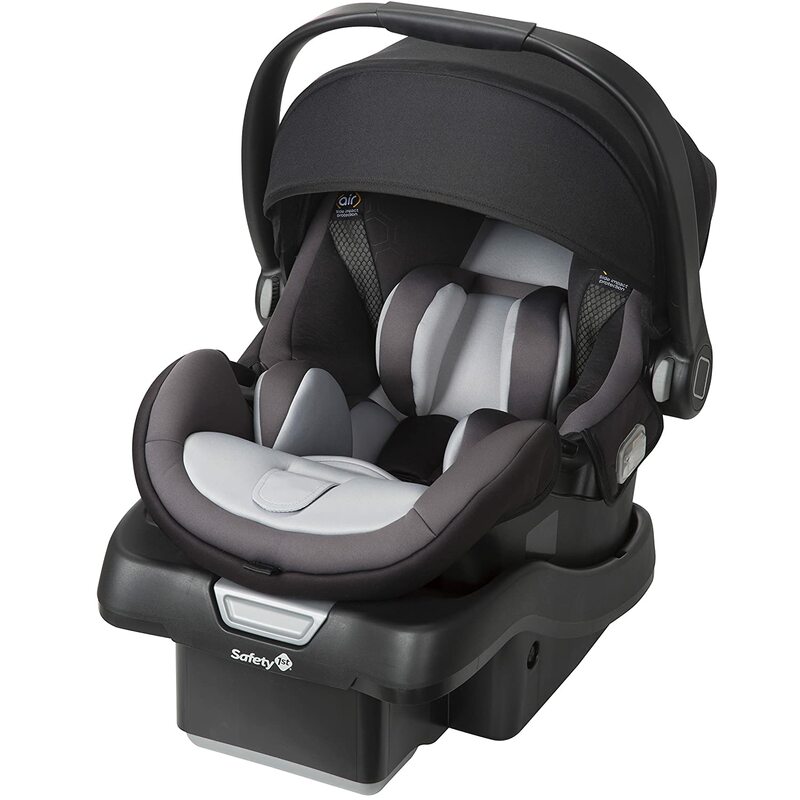 This product is the top rated car seat for infants when it comes to safety. It takes all the guesswork out of installing your new car seat – including the flexible LATCh connectors, a reclining base with no-thread adjustable harness and a range of other great options. There are many interesting features and the car seat is compatible with several Baby Trend strollers (the Envy and Encore travel systems) which is great if you are buying an entire travel system. What’s most important is that it uses an awkward carry handle which has stiff buttons making it harder to use than any other handle. 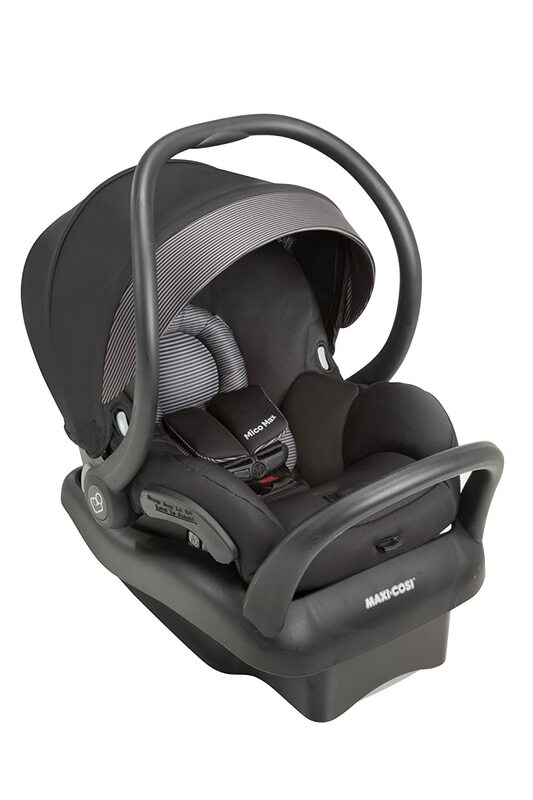 The Flex-Loc infant car seat is the first on our list because of the safety tests. It passes all the federal crash test requirements and has an energy-absorbing foam that protects against side impacts. The seat are able to secure a child from 5 to 30 pounds or 30” in height. However, the low weight limit means that you should not buy it and use it for any premature children (which are usually born weighing less than 5 pounds). Another important thing to consider is the easy no-thread adjustable harness that lets you change the position of the shoulder straps and head support at any times – with only one hand. The base has a four-positioning reclining system and a level indicator that helps you figure out what is the best position is best for your child. The only disadvantage may be the fact that it is a bit stiffer than other infant car seats. The release buttons are hard to operate with – and the user manual shows the handle in its storage position while driving. Another thing that is frustrating is getting the carrier into the car and wrestling with the handle for a couple of minutes. On the good side, the Flex-Loc is supported by a 180-day warranty which means that your child will be in the seat long after the entire warranty expires. In case you lose the user manual, you can download a replacement for free or contact the staff by telephone and email. The Safety 1st Onboard infant car seat protects your baby from every possible angle – in a 360-degree motion that includes 5 layers of proven safety. With it, the rear-facing babies will stay safely snug and the product supports babies from 4 pounds with special inserts. The AirProtect technology offers premium impact protection while the GCell HX patented race car foam absorbs crash energy. There is a reinforced handle for added stability and the deep seat structure of the seat shields the child in a lot of ways. The soft foam throughout the seat adds even greater safety and comfort – which is why this product is one of the safest car seats available on the market. A proof for the amazing safety provided by this infant seat are the crash tests that have been done from every angle – front, rear, side and rollover. In all of the tests, this seat excelled and showed amazing agility. 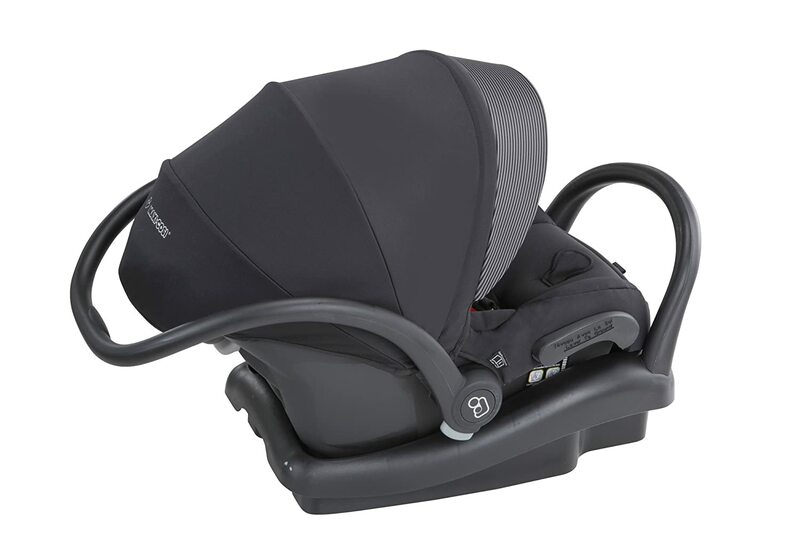 When it comes to ease of use and carrying, this infant car seat is even more pleasing. There are reversible pillows for proper fit of babies that are as small as 4 pounds as well as a special Carry Curve handle that has a comfort grip and makes the car seat even easier to carry. 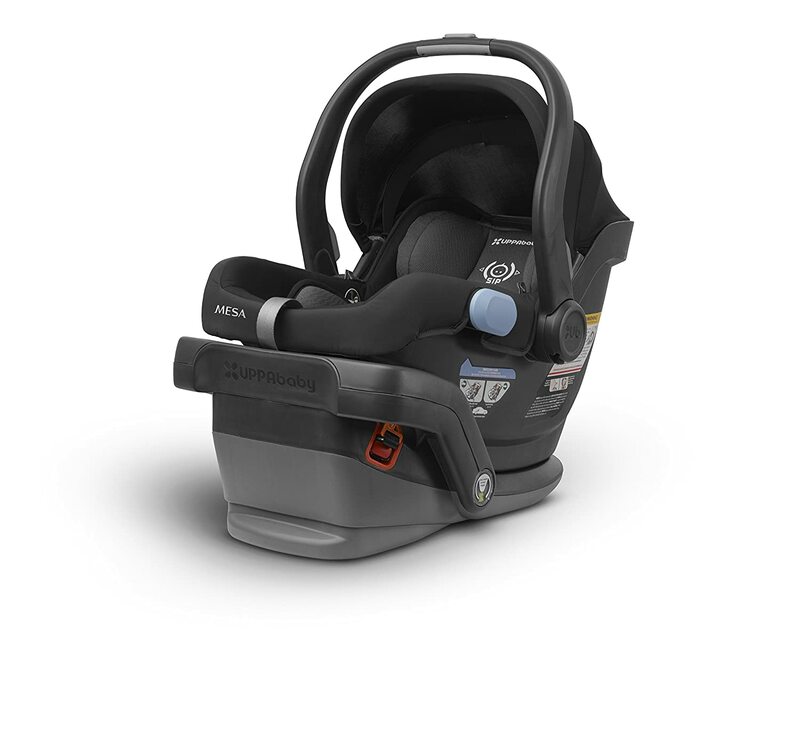 Lock-wise, this car seat by Safety 1st comes with 4 harness heights, 3 buckle locations and a 5-point harness system which is designed to give your growing child a better fit. 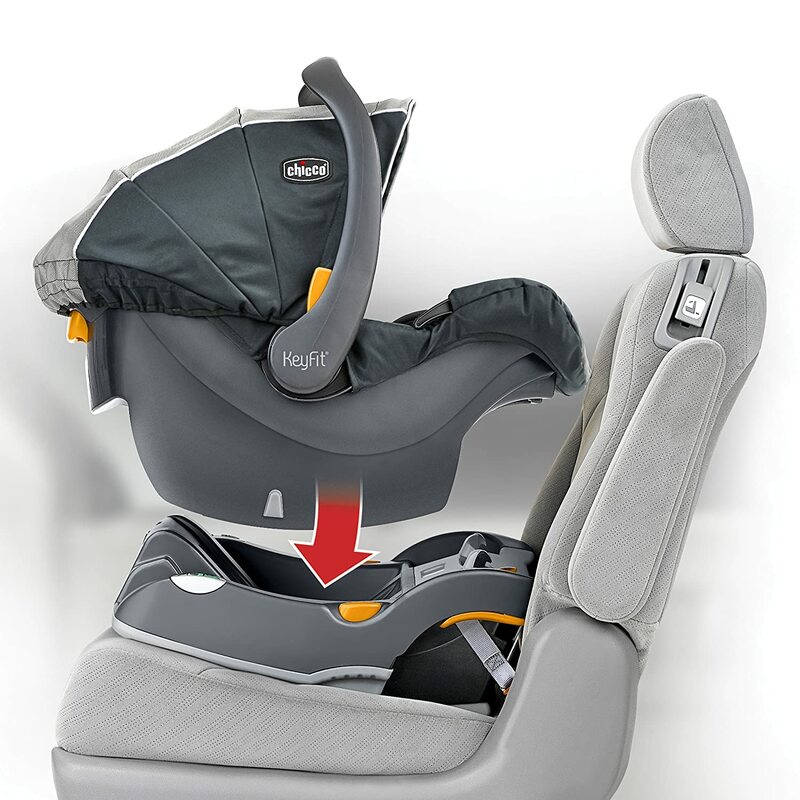 The good thing is that with one pull, you can give your baby a secure fit and the 5-position stay-in-car base makes sure that this is the case right from the start (when the car seat is used in the rear-facing position). All in all, this is a car seat that exceeds the Federal Safety Standards and the European Rollover Standards known as the ECE R44 Supplement 7. For that and the greatness of comfort, it is one of the bestselling car seats on the market. If you haven’t heard of Maxi-Cosi so far, you definitely should! According to many customers, it is one of Europe’s most popular brand of premium car seats. What’s also important to note is that the Maxi-Cosi car seats are manufactured under different standards and regulations – and are different in Europe and the US. However, the technology used is the same – and the level of protection is the same. The Mico Max 30 is the newest infant car seat from the brand with the latest upgrades when it comes to safety and convenience. The team behind the brand has always been ambitious and wanted to be the first manufacturer offering a completely customizable product. That said, the Maxi-Cosi Mico Max 30 is a car seat that can be completely customized. For instance, you can add a white base and a shell with a black cover – or any other color combination of canopy, inserts and base. Each custom product is shipped after 3 weeks and there are tons of amazing and fun fashion choices to choose from. The safety technology is what’s most impressive for this model, and why we have put it in our list of safest infant car seats. Each of the chairs comes with a wedge cushion insert, a round head support insert, a buckle cover and harness strap covers – all of which extras that are entirely optional but also required for newborns and infants. In a nutshell, the purpose of all the wedges is to position the small newborn a bit higher if their shoulders are below the bottom harness slots without it. The Maxi-Cosi Mico Max 30 also fits vehicles perfectly and is very easy to install all thanks to the premium LATCH connectors. Its base has 3 recline positions which can be changed and customized according to your needs or the needs of your vehicle. The UPPAbaby MESA infant car seat adopts an innovative technology and premium fabrics. 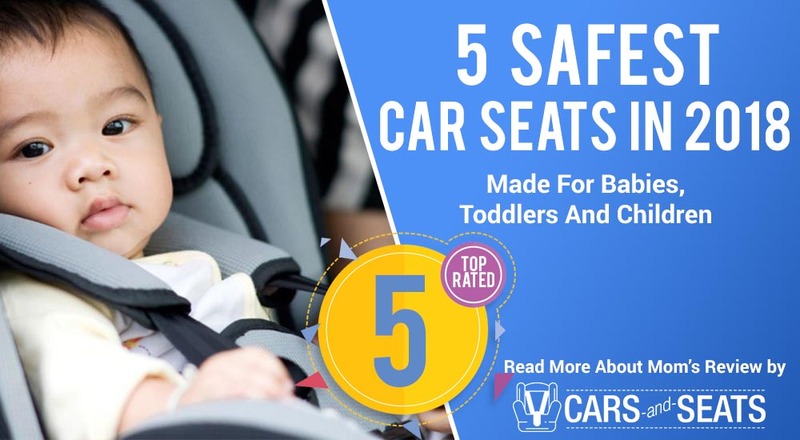 It is really impressive and scores high in most of the review – all thanks to its easy installation options and the strong performance making it one of the top contenders of safe car seats for infants. What every parent loves about this product is the retractable LATCH anchor system and the easy-to-use harness height adjustments. Even though it has a slightly higher price and heavier weight, it is one of the safest car seats out there all thanks to the high-quality materials and sleek design. A lot of crash test data shows that this seat scores well and protects children from every side. 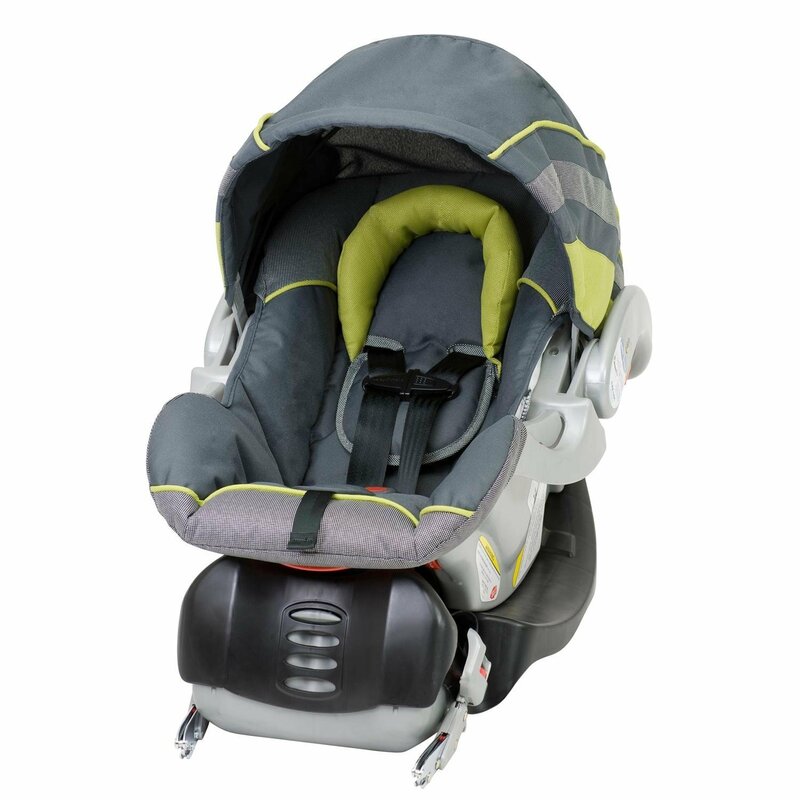 From the G forces of impact on the chest and head region of the crash dummy, this product has shown some of the best results along with the car seats from Chicco, Safety 1st, Maxi-Cosi and Baby Trend (as mentioned above and below). In all of the tests, the UPPAbaby earned the basic scores for chest crash test results. What’s certain is that UPPAbaby makes the claim of side impact protection (SIP) and padding in the head area of the seat to be among the highest on the market. The brand claims that the SIP feature has been tested without disclosure of actual crash test results. The ease of installation is also a thing making using this product a breeze. The LATCH technology uses the connectors that tuck into the base when not in use – releasing at a touch of a button and pulling out one at a time or simultaneously. From the belt to the base, the MESA is easy to install and won’t struggle you. 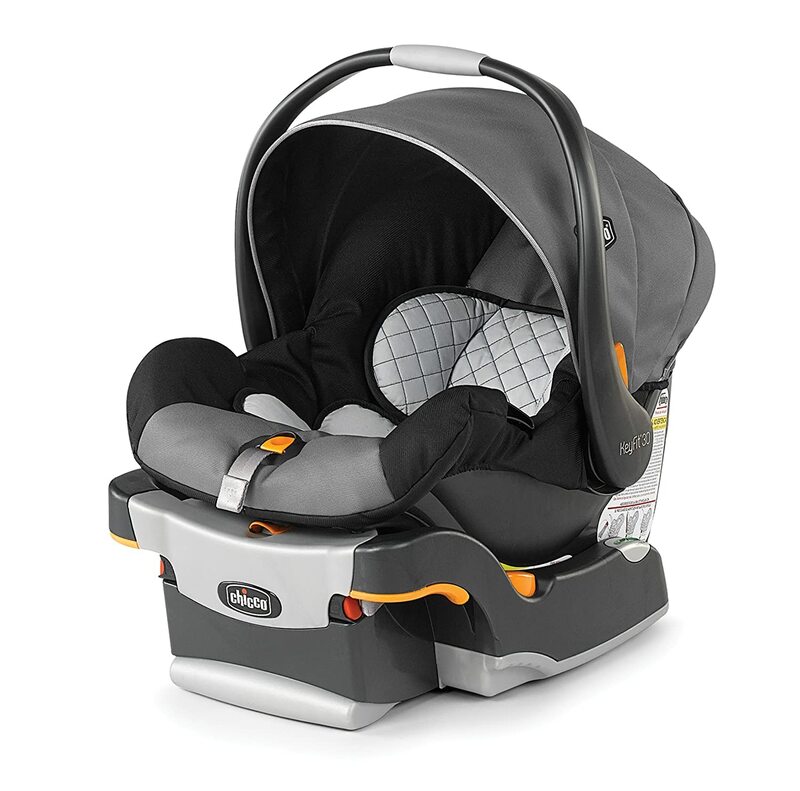 With the KeyFit 30 infant car seat model, Chicco has proven that sometimes small car seats are better. This is especially true for parents that have compact vehicles and ones that need a small car seat fitting in their back seat. If your baby is born prematurely, having a small seat is a necessity. However, finding the perfect one for your needs is really difficult. Luckily, the Chicco KeyFit 30 is an ideal option for small cars. Compact and convenient, this baby car seat is recommended by many neonatal organizations and nurses as the go-to option for everyone who wants the best from their compact car seat. It is even great for two-door cars because of the easy installation. Even though the design can be a bit frustrating because of the sweat-inducing cushions and small canopy, it is still a seat that easily pops in and out of the base and fits a couple of Chicco strollers. Thanks to all of these features, the KeyFit 30 earns the award for safety and convenience. When it comes to safety, it is crash tested and offers side-impact protection disregarding the type of vehicle. The car seat has met a lot of crash-test safety requirements. With its sturdy design and fully body support, it has also been among the best selling compact car seats for small vehicles. What’s also important to mention is that the Chicco KeyFit 30 is also airplane compliant. If you do a lot of traveling or want to take your baby with you in the plane, feel free to use it and secure your baby with the LATCH connectors put tightly in place. Keeping your baby safe on the road is probably the most important feature that parents are looking for. Since babies cannot be kept in the front seat or rear seats with just a seat belt (which is illegal) there is a growing need to employ car seats. Knowing that choosing the best car seat is tricky, all of these products give you the best of quality and safety. If comfort, durability and high-quality materials are what you are after, all of these products will satisfy your needs and give you a car seat that protects your loved ones from every single side. The big question is – have you found the perfect car seat for your needs?